With the onslaught of diesel engine emission regulations, electronic engine control became a necessity. Like dropping a large object into a pond of still water, the resulting waves of change emanated outward, affecting engine manufacturers and marketers, buyers, users, technicians, and anyone else that dealt with diesel engines. These changes affected all marine diesel technicians, and compounded fall-out from the national emphasis away from practical, hands-on shop classes. This discussion will explain how the marine technician skill set shifted toward engine electronics at the expense of vital hands-on mechanical skills. From 1940 through 1990 the skills Marine Diesel Mechanics needed to perform their craft did not change a great deal. The main reason for this was that the level of engine technology installed and working in boats often lagged twenty years, or more, behind truck engines. The inevitable change-over to electronic engines rumbled through each industry, according to the EPA schedule, and finally came to bear on marine diesel engines applications. Demand increased for new technicians with computer skills who were able to work with engine control software and diagnostic tools. Today, you and I know something about software, but twenty years ago few tradesmen knew the difference between software and Tupperware. Fortunately many of those entering the diesel trade during the advent of electronic engines were computer literate, and they carried-in important computer skills. Because of their familiarity with computers these newcomers to the trade often went right to work on the engine electronics side of things, and reached the journeyman level prematurely (a qualification in the diesel trade). This resulted in “lop-sided” technicians who were strong in electronic controls, but very limited in practical hands-on mechanical skill. During this same time, many old-school mechanics climbed the “learning curve” leading to the repair of the new electronic engines. In fact, these seasoned mechanics were often enlightened by the new computer literate beginners, the very same people who needed the old-timer’s hands-on skills. These older “tech/mechanics” had barely enough time to master the new technology before their retirement, and when they left the trade, these senior mechanics carried-out the vital mechanical skills that all techs still need. Now, with your permission, we will temporarily change the tone of this story to illustrate a point. It’s not hard to imagine the commotion among young marine techs on each continent as the diesel technician retirement crisis swept the globe over a ten-year period. Not unlike climate change, this Global Dumbing crept irresistibly over land and sea, as experienced old-timers loaded up their tools to leave upon retirement. Let’s listen in now as it dawns on 20 year-old Bobby Ferguson of Corpus Christi, Texas, that his mentor Fred Buckland really is leaving the marine diesel repair shop for good. Bobby noticed his 64 year-old friend replied with no visible sorrow as he cast a backward glance and limped out of the shop. 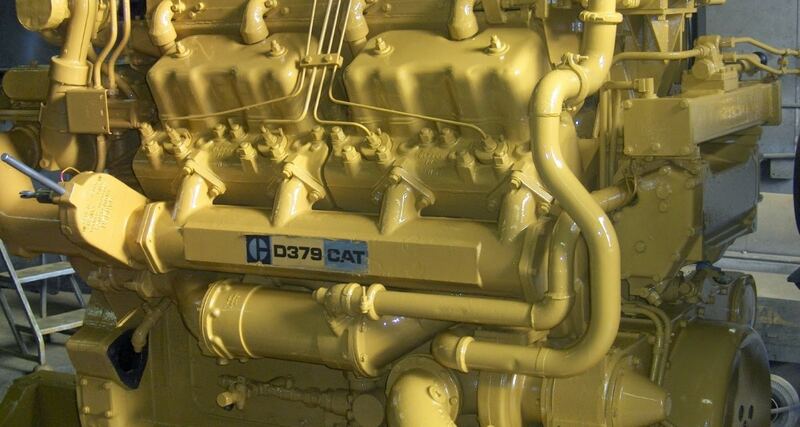 Metal Compatibility-Unlike truck mechanics, who have the benefit of plug-and-play engines and systems, Marine diesel mechanics must carefully DESIGN marine engine installations and “repowers”. A marine repower being the process of installing a newer technology engine capable of powering the boat or the boat’s power generation system. Proper metal compatibility is part of the design process and it is vital in minimizing CORROSION of boat components. When workers mistakenly connect incompatible metals to each other during repairs, corrosion is the result, and it rapidly causes leaks and premature thinning of hulls. Simply put, these leaks let the ocean get inside of the boat, and sadly every year this kind of failure sends boats and their unfortunate crews to the bottom. Alignment of Equipment-Without proper alignment, large, heavy, critical parts of the propulsion system simply break into smaller pieces. Well aligned equipment on the other hand will last a long time. Alignment work is cold, wet, and dirty, but those who can align engines, propeller shafts and equipment are scarce and very well paid. These two examples are as much knowledge-based as they are hands-on skill based. Marine diesel mechanics must also know techniques for drilling, scraping, metal bending, and straightening. It takes dexterity, and agility, and also rigging and lifting techniques. There many important skills and techniques that help marine technicians do mechanical chores better and faster. This helps reduce the time (and expense) for repairs. These are the skills that enable businesses to operate for less dollars and keep equipment going longer. They are also the skills that keep military equipment going under less than ideal conditions. Increasingly it is difficult finding people to maintain our modern “digital-electro-hydro-mechanical” machinery. No matter which industry, bolts will always break-off deep inside castings, and bearings will still seize in their bores. But, how to deal with these problems? Of course the answer is through better training. The mechanical skills that “Bobby” needs and “Fred” and his kind carry-out at retirement, have historically been transferred verbally and by example through an unofficial on-the-job relationship between old-timers and beginners. However, looking at the industries dependent on trades-people as a whole, the OJT training process is not well supported at this time, possibly due to the present economic upheaval and uncertainty. Taking the workforce as a whole, we see a very large number of jobs have moved off-shore, and they just won’t be coming back. Many, many people must re-educate, and this is an opportunity for trades related training and publishing. Perform all of the adjustments on the engine in question, including timing and valve adjustments. Troubleshoot both mechanical and electronic engine control engine troubles. Perform all engine testing related to following systems: intake, exhaust, cooling, fuel, lubricating oil, controls, and instrumentation. Completely dis-assemble and re-assemble all or part of the engine. 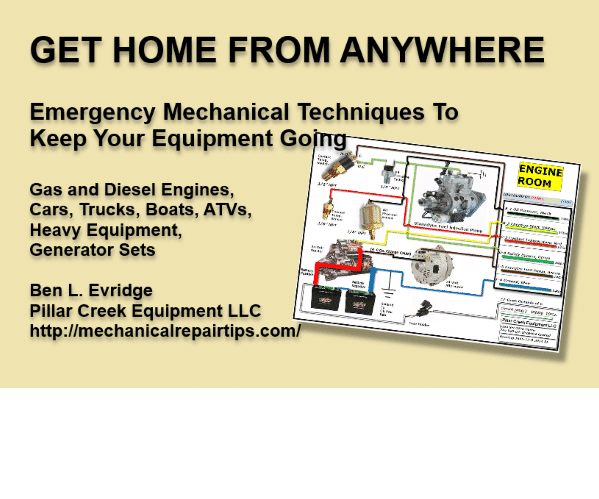 Install and calibrate aftermarket engine and transmission controls. Safely rig and lift equipment weighing several tons. Design custom lifting brackets and Identify the correct materials to fabricate the specialized brackets need to do heavy lifting. Bend or cut heavy steel up to 1.5” thick with the aid of an acetylene torch or rose-bud, as needed. Clean the cutting or welding tip on an acetylene torch. Align a propulsion shaft to the boat and the engine/transmission assembly to the shaft. Safely support the engine and then remove and replace a transmission. Safely support the shaft and/or the transmission before engine removal. Replace lip-type oil seals on the engine regardless of their location. Remove broken bolts, regardless of the many ways they can seize or break. Lay out and fabricate a wet or dry marine exhaust system. Lay out and fabricate adaptions in the engine bed of an aluminum boat during a repower. Weld 3/8” and heavier steel in any position. Design and fabricate heavy pulling fixtures. Determine if a propeller or shaft is bent. Align a propeller shaft to the boat. Recondition a cylinder head on the boat. We don’t know where the skills shortage will take us. However, there are many constructive solutions and resources available. WORK BOAT MECHANICS, Evridge, (self published).